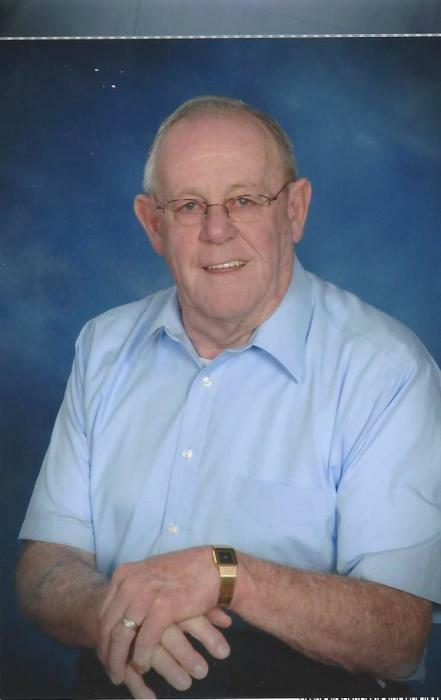 Willard “Bill” Carter, 84, of Corry, died October 11, 2018, at Corry Manor. Born July 19, 1934, in Union City, he was the son of the late Oliver and Florence (Inman) Carter and the husband of Donna (Haskin) Carter. He was a member of Faith Evangelical Church, Corry and retired from Foamex. Willard loved spending time with his grandchildren, woodworking and traveling to Florida in the winter. In addition to his beloved wife, survivors include a son, Mark Carter and wife, Tina of Union City; daughters, Linda Tinko and husband, Rick, of Corry and Kathy Simmonsen of Corry; sisters, Janet Fuller and husband Sonny, of Spartansburg and Cindy Marsh and husband Mike, of Corry; nine grandchildren; 21 great grandchildren and two great great grandchildren. Besides his parents, Willard was preceded in death by his step mother, Faye Carter; a son William “Billy” Oliver Carter;a grandson Curt Patrick Simmonsen brothers, Donald, Edward and Thomas and a sister, Sandra. He was also preceded in death by a son-in-law, Tom Simmonsen. Family and friends will gather Sunday October 14, 2018, from 2 to 4 p.m. At the Faith Evangelical Church, Corry. Services will be held Monday October 15, 2018, at 11 a.m. at the church with Rev. J. Lynn Cirigliano officiating. Bill, who was known for his sense of humor, will be sadly missed by his family and friends. Memorial contributions may be made to Faith Evangelical Church, 13444 W. Washington Street, Corry, PA 16407.